Are you an art teacher looking to share your love for art? 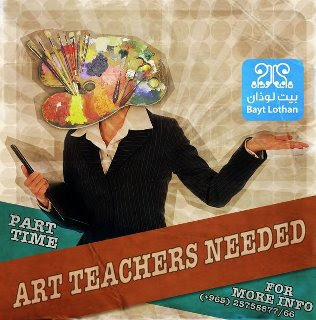 Bayt Lothan is looking for part-time art teachers, willing to teach any form of art class. If you're interested contact them on: (+965) 25755877/66.